Chances are, you answered yes to that question. Even if you do not feel chronically stressed, we all experience stress in our lives. It is no secret that this stress is unhealthy, but many of us don’t know how to relieve stress. Even if we do, sometimes it seems like too much of a time commitment. 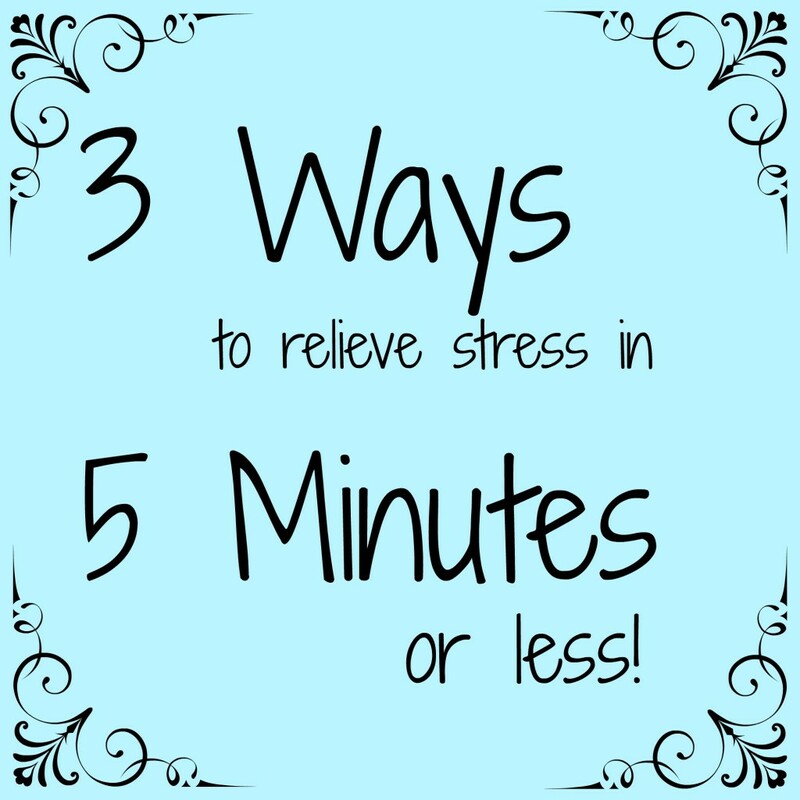 Luckily, there are some incredible easy ways to quickly relieve stress. Meditate. There are many ways to meditate. Going for a walk, more vigorous exercise, praying, yoga, deep breathing, or anything else that helps you relax! Just taking a few minutes to release everything in your life can do wonders to relieve stress. Your can meditate on your own or listen to a mediation recording to give you guidance. EFT. Emotional Freedom Technique, also known as Tapping. This technique is suppose to be a easy way to help ground and balance your energies and relieve pain and stress, as well as many more benefits. I personally have not experience the extent of healing that some have experienced from tapping. However, I find it to be a wonderful type of active meditation. It grounds me and helps me call to mind my stress, then release it. Bonus, it only takes a few minutes. Learn the basics of how to tap here. Essential Oils. During finals week last semester, I was having attacks of anxious emotions on the regular. I was getting nothing done because I felt so awful, then I would freak out about money or how much I was not ready for my exams, then I would feel bad and not get any work done. Vicious cycle that was just not good. One night, I felt these feelings coming on before bed. I had used a Calming Blend to help sleep before, and I knew it could be good for calming (as the name suggests). I grabbed my bottle, put a few drops in my hand, rubbed the excess oil onto my feet, and put my hands up to my nose (don’t cup until the oils evaporate a bit more!). I inhaled deeply and the anxious feelings dissipated in less than 30 seconds and I soon fell peacefully asleep. For the rest of the week, I repeated this as I felt those terrible emotions start. If I didn’t need to sleep, I only used one drop. Could it be placebo? Maybe. But to be honest, as long as it is not harmful, I don’t care if it can stop that anxiousness in its tracks in less than 30 seconds. While I find the Calming Blend to be the most helpful for calming stress, there are other oils and blends that are also great for helping relieve and balance moods. For more information about emotions and essential oils, feel free to contact me! It is important to keep in mind the cause of your stress. Yes, EFT is great for helping me ground myself and focus. And yes, the Calming Blend is nice, but if (for example) I use it every day because I keep having panic attacks about money, then I need to address that and find a way to feel more secure in my finances. If I’m stressing about the deadline for a paper, all these techniques won’t make a difference if I’m in the midst of writing the paper. Remember that learning how to reduce and eliminate the major causes of stress in your life is the best path to your health.